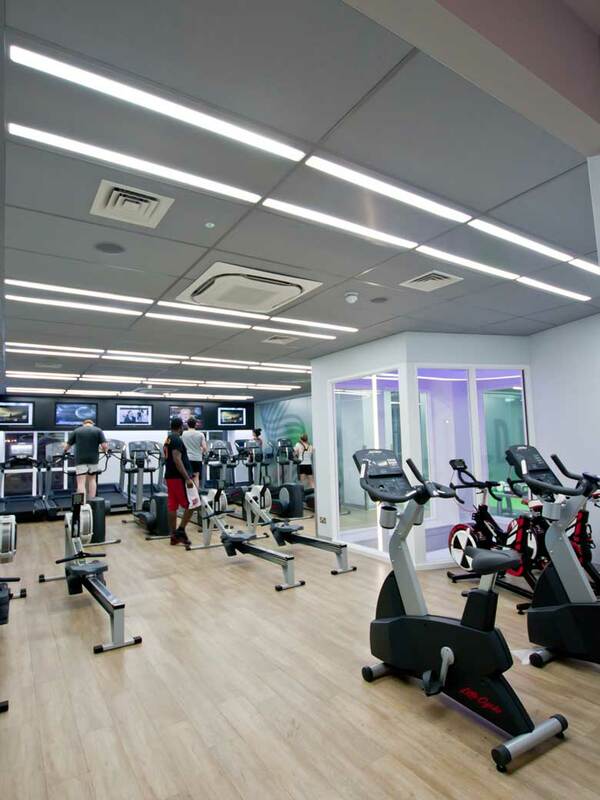 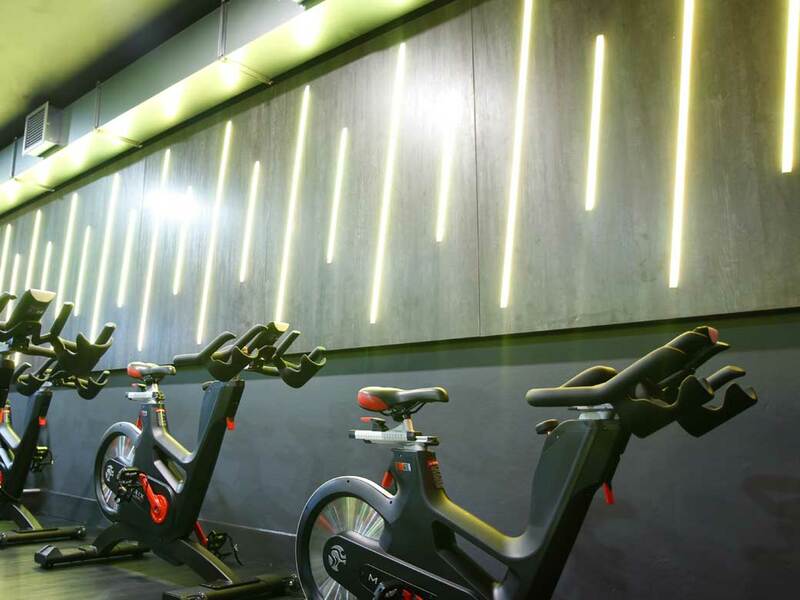 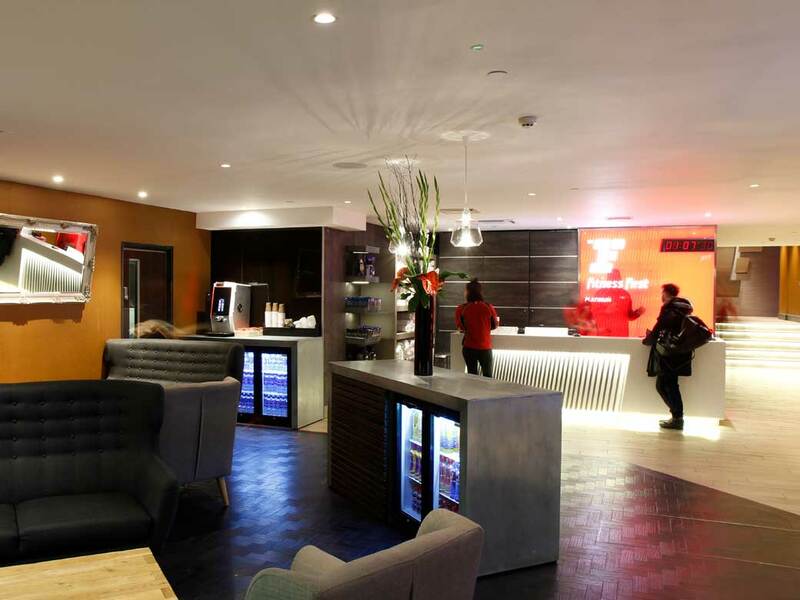 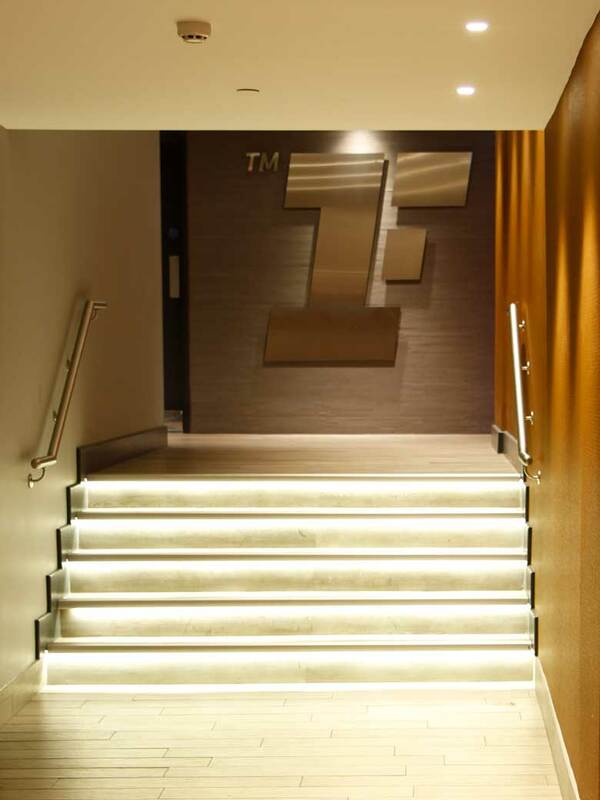 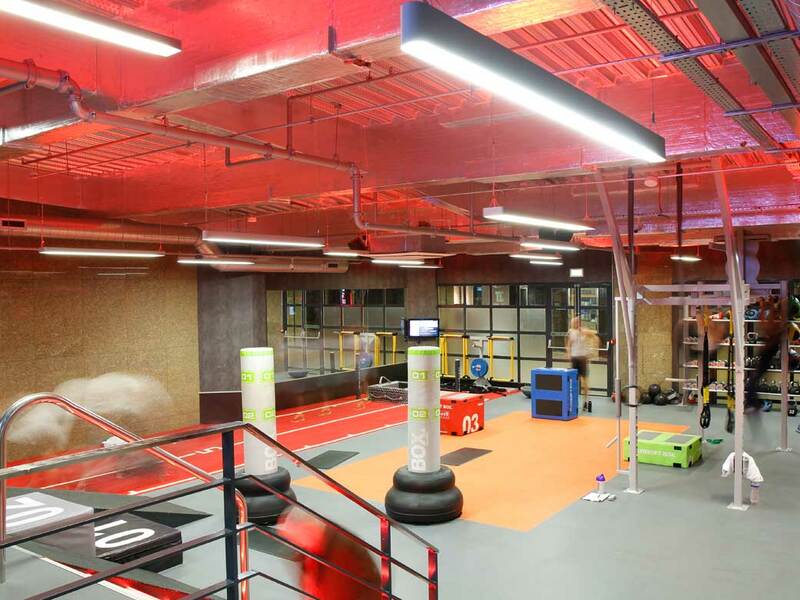 Fitness First required a dynamic lighting solution to launch its flagship health club in South Kensington. 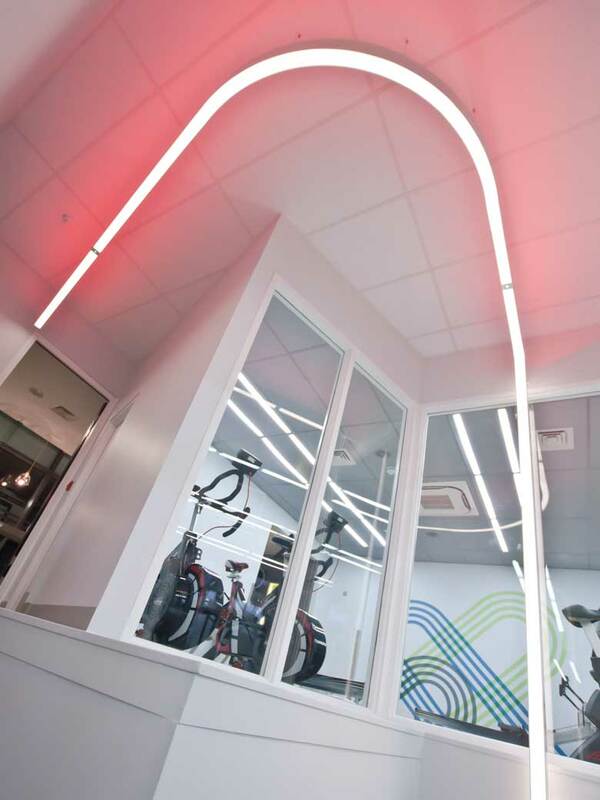 Optelma worked with Fitness First and Antarchitecture to light this Club and, following the success of this project, Fitness First’s 74 clubs throughout the UK. 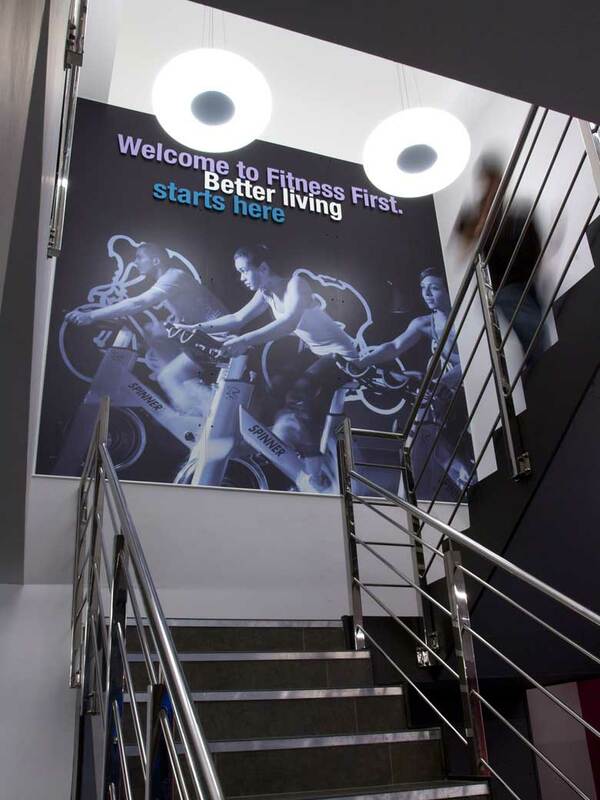 Architectural lighting was seen as a way Fitness First could establish a new, vibrant image to help its rebranding. 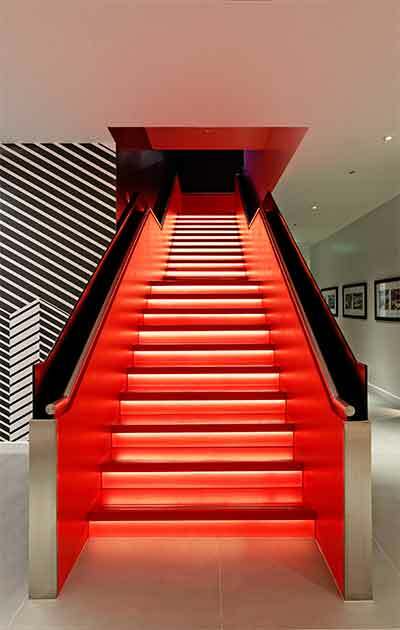 The challenge was to accentuate the staircase so that potential members would realise there was a significant portion of the club downstairs, out of sight. 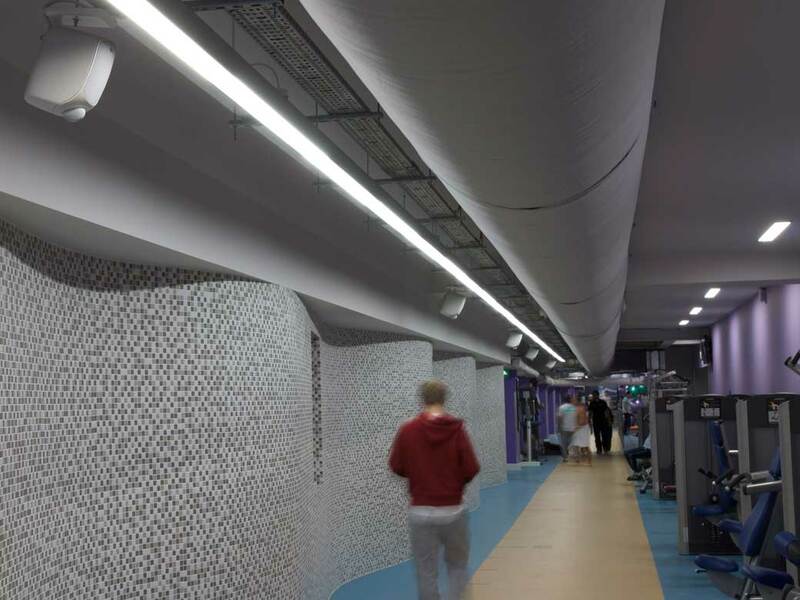 Optelma’s Tatoo system incorporates LED direct lighting and a separately switched uplighting option – in this case red SMD – which allows Fitness First to wash the ceiling with colour, 24/7. 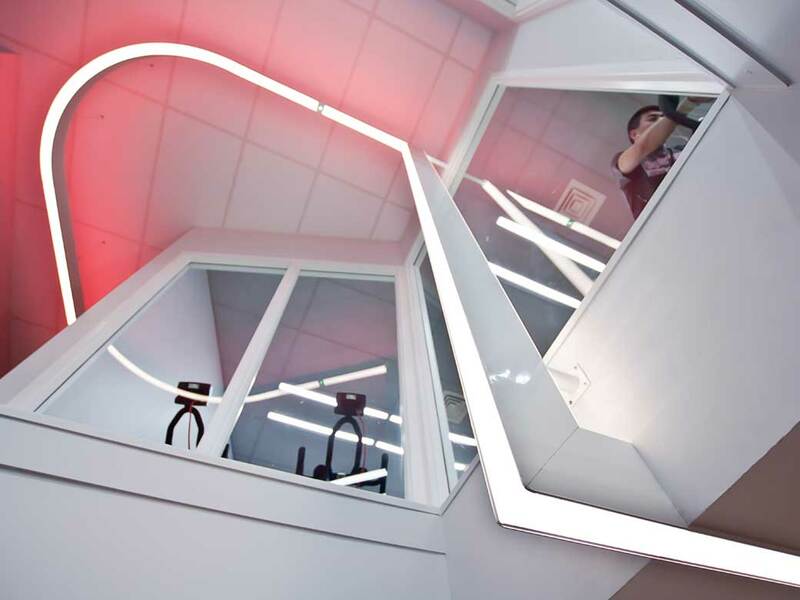 The curved profile follows the line of the corridor, while the change of plane allows vertical lines of white light to draw the customer down the stairs. 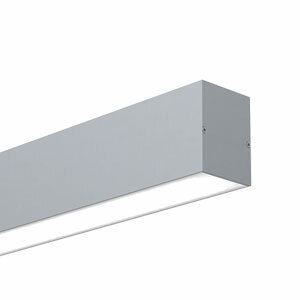 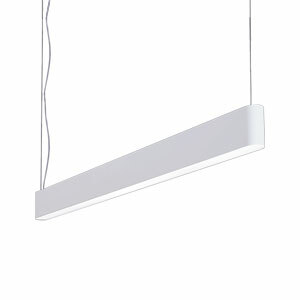 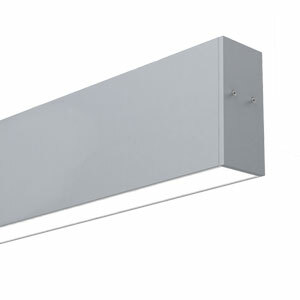 In the lower part of the club, the profile merges into a single recessed element. 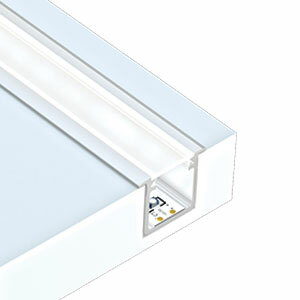 The result is a stylish, flexible solution. 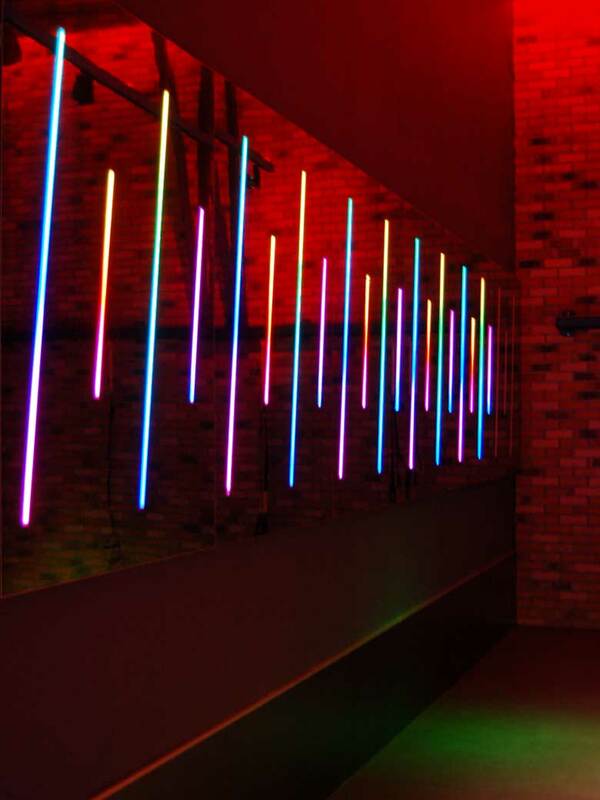 Tatoo is a bespoke system, which can create a combination of white and coloured lines of light. 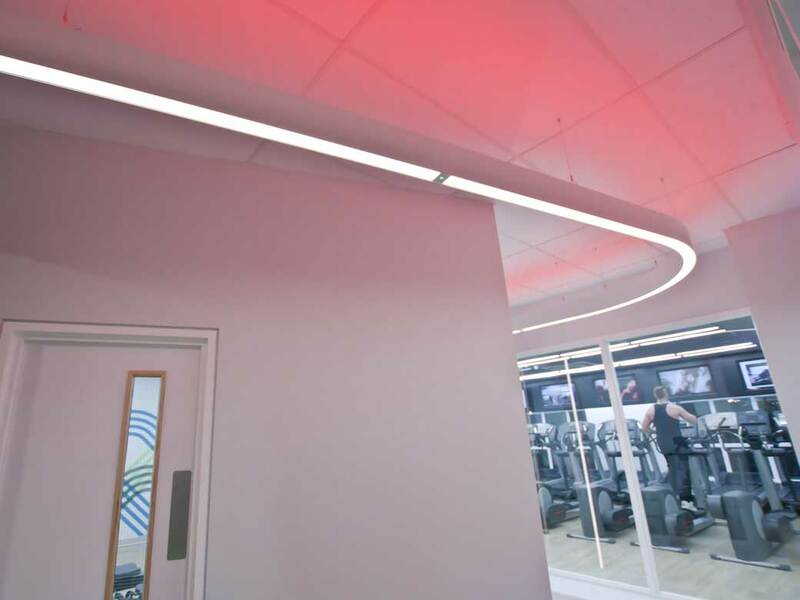 At Fitness First, the curved contour reflects the design intent, while LEDs ensure low running costs and longevity.